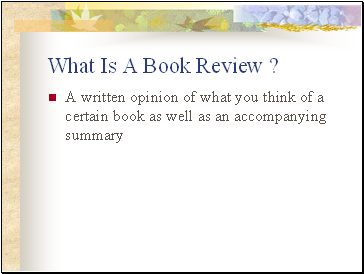 What Is A Book Review ? 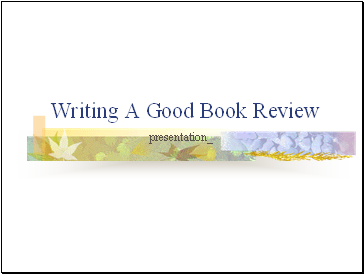 A Good Book Review . . . 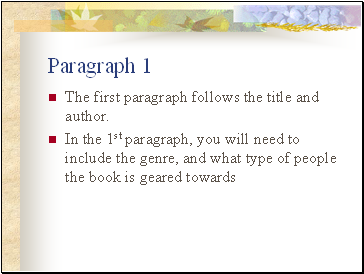 Gives a statement telling the genre and what types of people would enjoy reading this book. 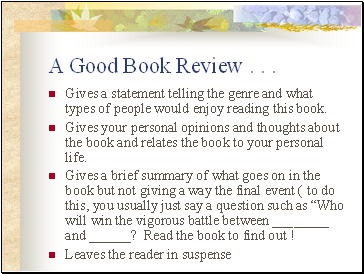 Gives your personal opinions and thoughts about the book and relates the book to your personal life. 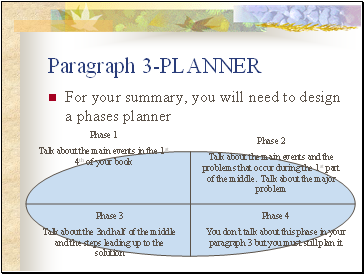 Gives a brief summary of what goes on in the book but not giving a way the final event ( to do this, you usually just say a question such as “Who will win the vigorous battle between and ? Read the book to find out ! The first paragraph follows the title and author. 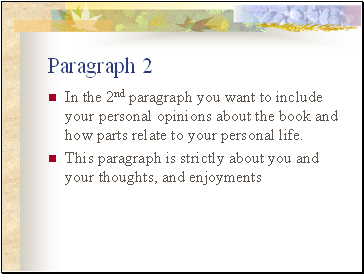 In the 2nd paragraph you want to include your personal opinions about the book and how parts relate to your personal life. 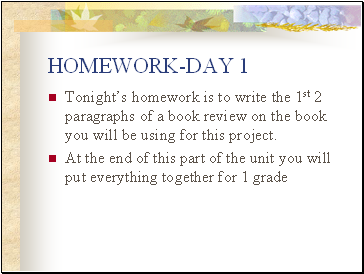 Tonight’s homework is to write the 1st 2 paragraphs of a book review on the book you will be using for this project. 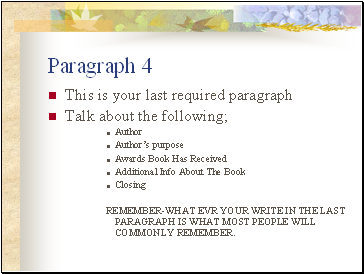 Your 3rd paragraph is the longest of all of your paragraphs. 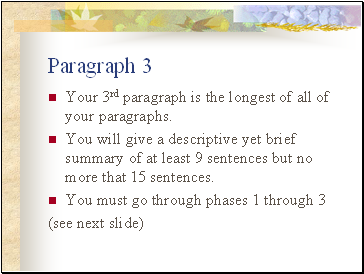 You will give a descriptive yet brief summary of at least 9 sentences but no more that 15 sentences.